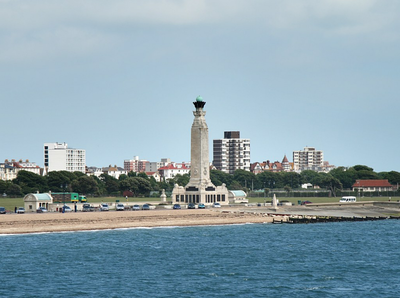 The Memorial is situated on Southsea Common overlooking the promenade, and is accessible at all times. 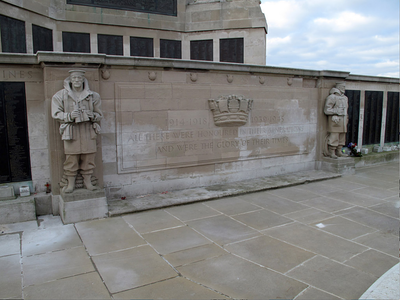 A copy of the Memorial Register is kept at the Civic Offices in Guildhall Square and may be consulted there. 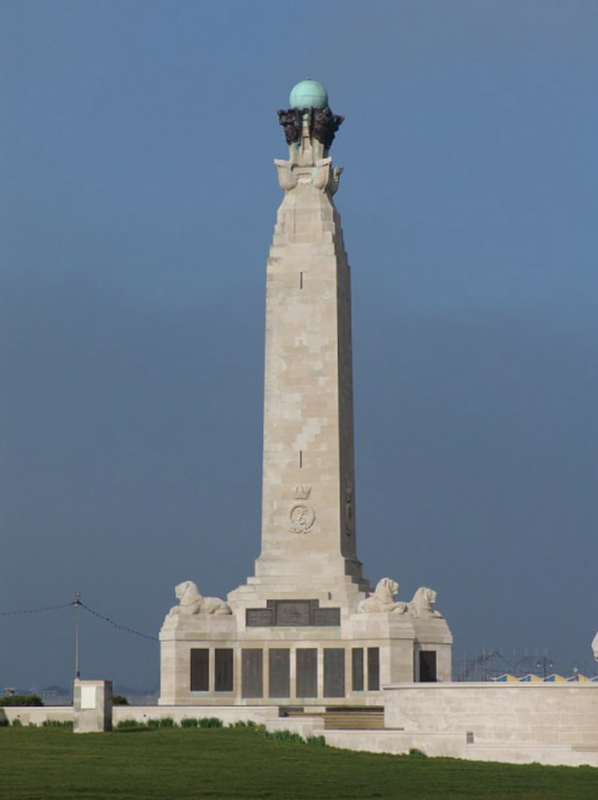 After the First World War, an appropriate way had to be found of commemorating those members of the Royal Navy who had no known grave, the majority of deaths having occurred at sea where no permanent memorial could be provided. 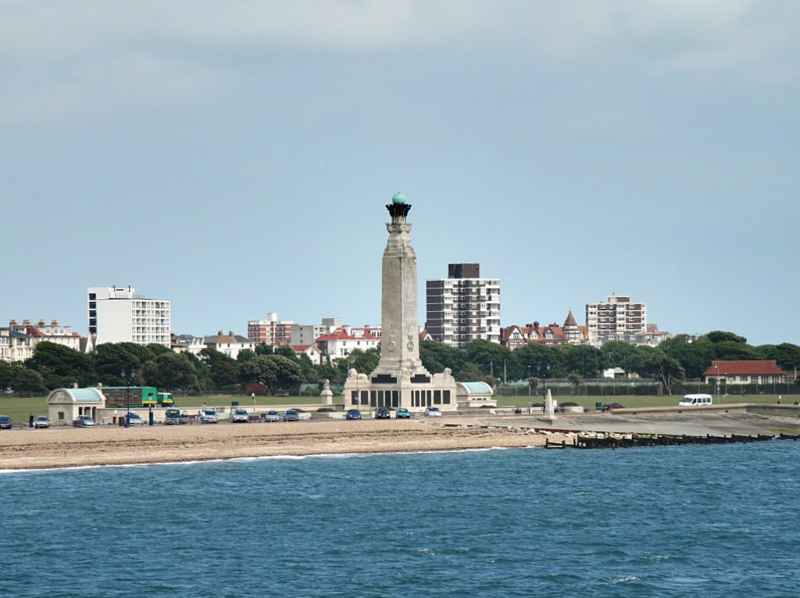 An Admiralty committee recommended that the three manning ports in Great Britain - Chatham, Plymouth and Portsmouth - should each have an identical memorial of unmistakable naval form, an obelisk, which would serve as a leading mark for shipping. The memorials were designed by Sir Robert Lorimer, who had already carried out a considerable amount of work for the Commission, with sculpture by Henry Poole. 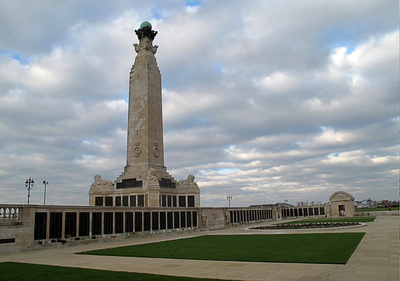 The Portsmouth Naval Memorial was unveiled by the Duke of York (the future George VI) on 15 October 1924. 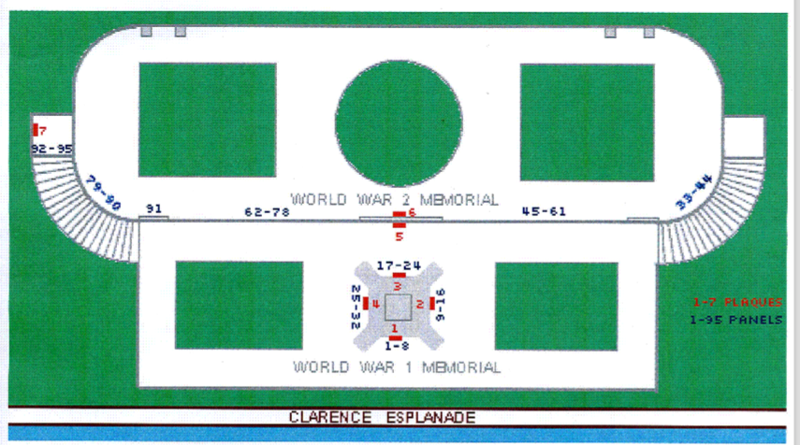 After the Second World War it was decided that the naval memorials should be extended to provide space for commemorating the naval dead without graves of that war, but since the three sites were dissimilar, a different architectural treatment was required for each. 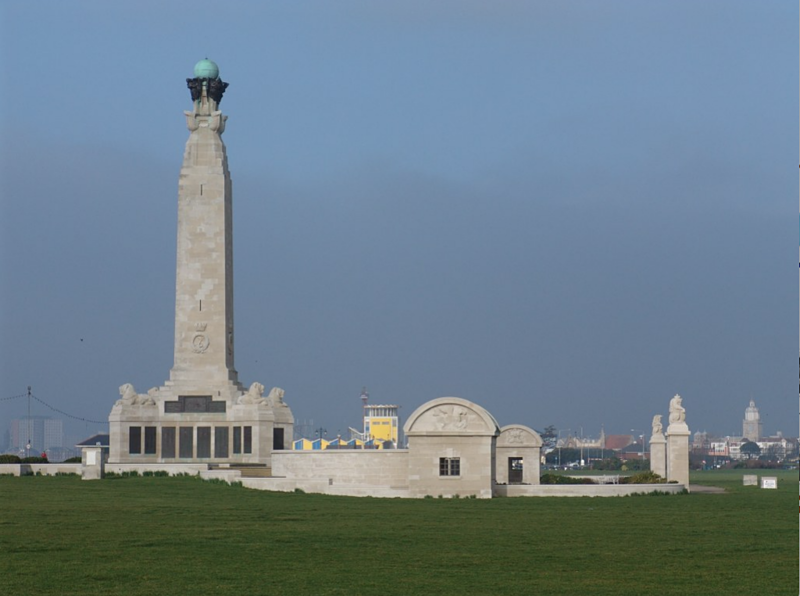 The architect for the Second World War extension at Portsmouth was Sir Edward Maufe (who also designed the Air Forces memorial at Runnymede) and the additional sculpture was by Charles Wheeler, William McMillan, and Esmond Burton. The Extension was unveiled by the Queen Elizabeth, the Queen Mother on 29 April 1953. Portsmouth Naval Memorial commemorates around 10,000 sailors of the First World War and almost 15,000 of the Second World War.